A new research suggests that drinking cocoa every day may help older people keep their brains healthy. A study of 60 elderly people with no dementia found two cups of cocoa a day improved blood flow to the brain in those who had problems to start with. Those participants whose blood flow improved also did better on memory tests at the end of the study, the journal Neurology reported. Experts said more research was needed before conclusions could be drawn. In the latest study, researchers asked 60 people with an average age of 73 to drink two cups of cocoa a day – one group given high-flavanol cocoa and another a low-flavanol cocoa – and consume no other chocolate. Ultrasound tests at the start of the study showed 17 of them had impaired blood flow to the brain. 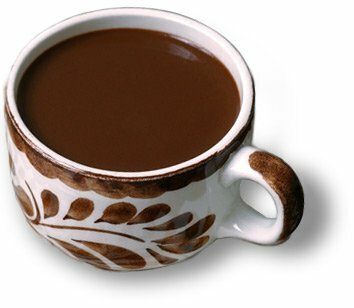 There was no difference between those who drank flavanol-rich cocoa and those who had flavanol-poor cocoa. But whichever drink they were given, 88% of those with impaired blood flow at the start of the study saw improvements in blood flow and some cognitive tests, compared with 37% of people whose blood flow was normal at the beginning of the study. MRI scans in 24 participants found that people with impaired blood flow were also more likely to have tiny areas of brain damage. “We’re learning more about blood flow in the brain and its effect on thinking skills,” said study author Dr. Farzaneh Sorond a neurologist at Harvard Medical School. The researchers said the lack of difference between the flavanol-rich and flavanol-poor cocoa could be because another component of the drink was having an effect or because only small amounts were needed.